For the past few weeks we have been sharing some of the best tips to heal bed bug bites and prevent scarring. Today we continue with these tips, but it’s important to remember to receive professional bed bug prevention in your home so you don’t have to worry about bed bugs ever again. The bites may be very painful, and a great way to relax from the pain is to enjoy a nice long soak in the hot tub or warm bath/shower. Use essential oils with antibacterial properties, such as peppermint oil or tea tree oil, in the tub to reduce infection. As an essential oil, basil is known to extract the saliva from deep within the wound. The bed bug’s saliva contains a protein that causes allergic reactions in many people, hence the itching. By removing the saliva, you remove the reaction and the pain. These topical creams can be applied to the scars for as long as two weeks to reduce the visibility of the bite scars. It is more expensive to use these creams, but the effects work. There are even more helpful tips awaiting you in our next blog, so stay tuned. 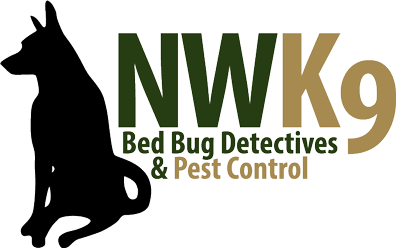 In the meantime, schedule your bed bug prevention appointment with Northwest K9.